we will fine tune your body and mind. People are constantly looking for new challenges. At Roots, we carefully raise the level of both physical and mental endurance for anyone that chooses to rise to the challenge. The Roots staff has been involved with martial arts for a lifetime. While we develop your technical skills, it’s equally important to us that we pass the same martial arts mindsets and healthy lifestyles to you that has positively impacted our lives. The Roots programs are unique and designed carefully with structure so that individuals see progress in both skill and fitness. Through sweat, hard work and discipline, we will fine tune your body and mind. This is the Roots way. Whether you already have a professional exercise routine or coming from years off the couch, there will be challenges for all. Kickboxers are known for having strong physical and mental conditioning – but that doesn’t come overnight. Our beginner’s sessions is designed to help you safely build technical fight technique and also start carving the body into lean functional muscle. Muay Thai places a natural emphasis on a solid cardiovascular system and decent flexibility which we help build at your pace. This will take you through about 1 hour and 800 calories per session. Our Muay Thai program has also developed competitors who compete on a national and international level. To join in on the intermediate training session, you should first seek an evaluation from one of our Roots coaches to make sure you are set up to succeed. This session was developed to improve on your ability to find rhythm in technique and combinations where you will understand timing through supervised drills. Individuals participating in this session have a proven a level of cardiovascular conditioning and mental endurance that will help them succeed to progress toward fight literacy and fight shape. Clinch techniques are also a key part of the class and are presented in a way so that you are able to understand and train technique in a safe and fun manner with your training partners. Students in this program are seasoned martial artists and also active competitors. 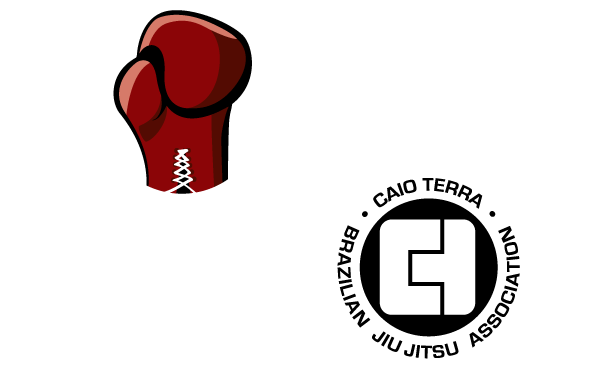 The Brazilian Jiu Jitsu at Roots is a world class program ran by some of the most respected and accomplished black belts in the world of Brazilian Jiu Jitsu. Champions Kim Terra, Vitor Paschoal, Flavio Meier, Kristina Barlaan (to name a few) have all been resident instructors! Whether you have a lifetime of experience or have little or no knowledge of Brazilian Jiu Jitsu, you will be trained with the same curriculum, mindsets, and training methods that made Caio Terra himself a 10 time world champion! The Brazilian Jiu Jitsu at Roots has been proven on the world’s largest stages. Our students compete at local, national, and world level events but also have several students who utilize the program for fitness, self-knowledge and self-defense goals. The focus of the Roots youth program is not just training your child in martial arts but also developing strong character. However, we do support and provide avenues for youth competition. Organized (team) sports are a positive outlet for kids but as seasons change they can become disconnected from their coaches/role models. At Roots we feel that it is important to provide a year round option for kids to stay active, healthy and productive. Confidence, confidence confidence – by overcoming difficult challenges children develop a stronger sense of identity which can carry them through life bully free. Classes are ran in a fun and challenging format as children’s interest last longer and learn better when they enjoy what they are doing. We're not around right now. But you can send us an email and we'll get back to you, as soon as we are able to.